The Rondane Winter 195 Sleeping Bag is a synthetic winter sleeping bag which is ideal for providing you with a comfortable nights sleep throughout cold wintery nights. It utilises Microfibre insulation to ensure you get the maximum warmth you need for a comfortable nights sleep. 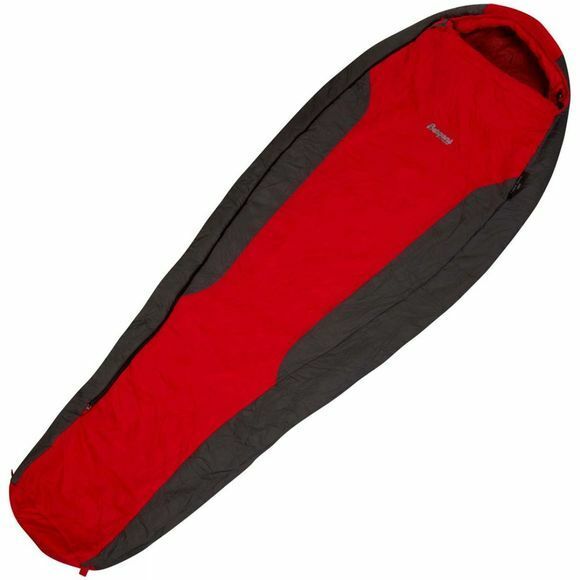 It is always important to keep your sleeping bag as dry as possible but sometimes accidents happen, this bag is ideal for wet conditions, the synthetic insulation in this bag will keep you warm even if the worst does happen and it becomes wet. The whole bag packs down into the compression bag supplied so as not to take up too much space in your kit bag and there are two inner pockets on the sleeping bag that are great for storing valuables such as your phone and wallet.